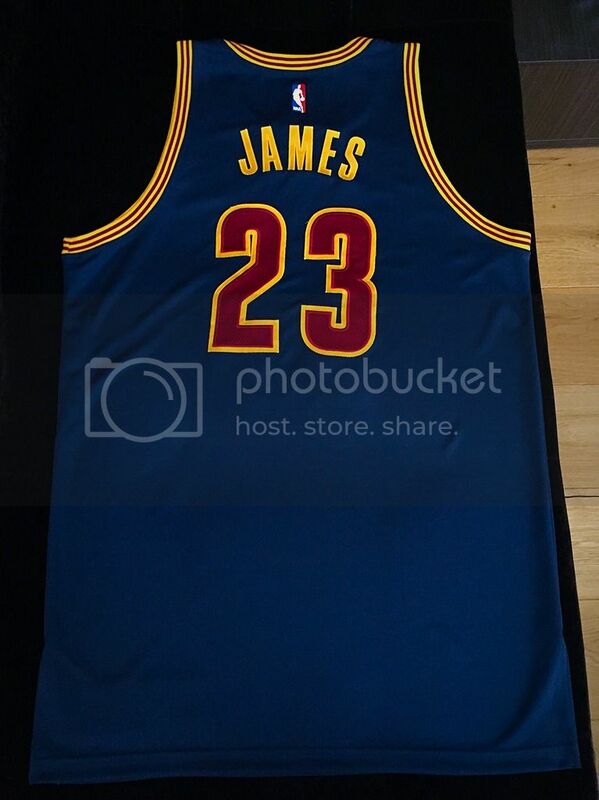 LeBron James 2014 Opening Night Game Issued Jersey. 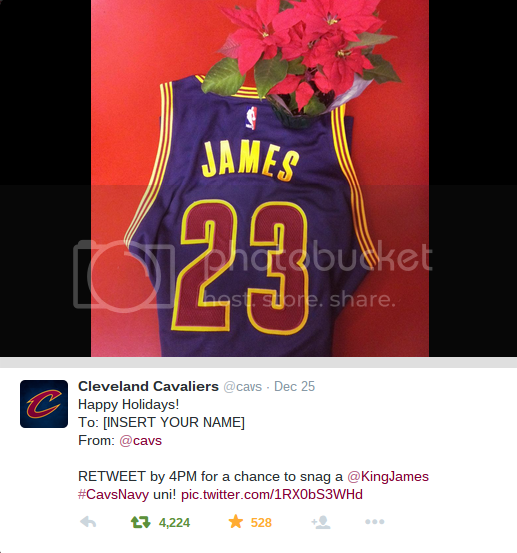 The Cavs organization held a #CavsNavy twitter promo where they prized a retweeter an extra prepared Tip-Off gamer for each player. 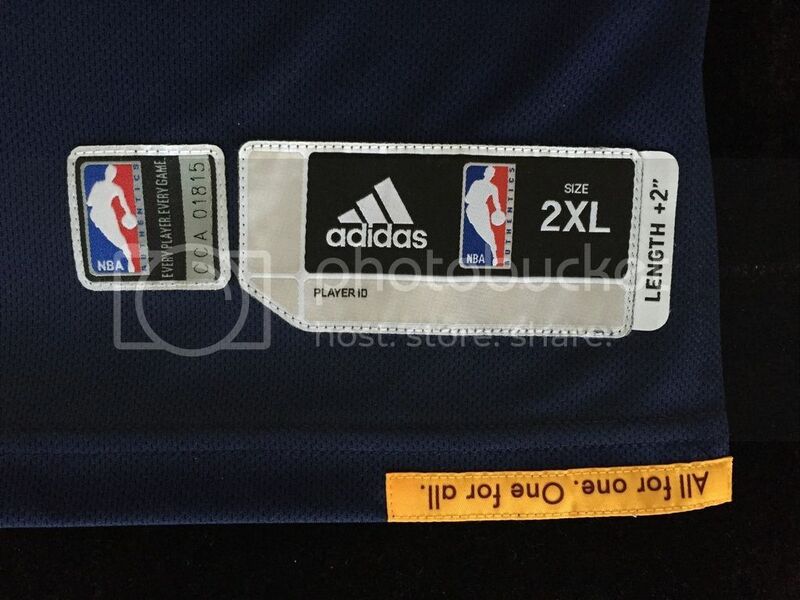 The LeBron James has serial number CCA01815. 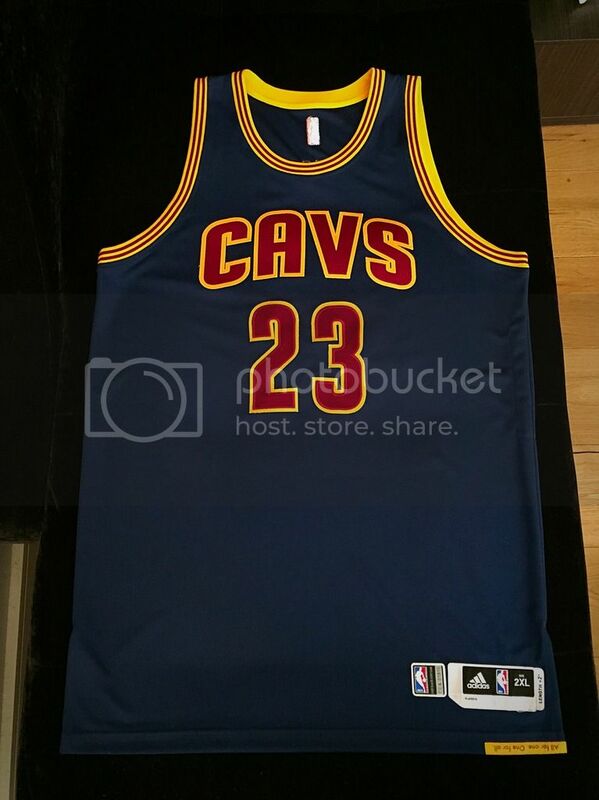 Hopefully this will not be passed off as 1st half worn one day.